Welcome to Stand Strong, the one and only tfl-approved fanlisting for the Halliwell Family of the TV show Charmed. 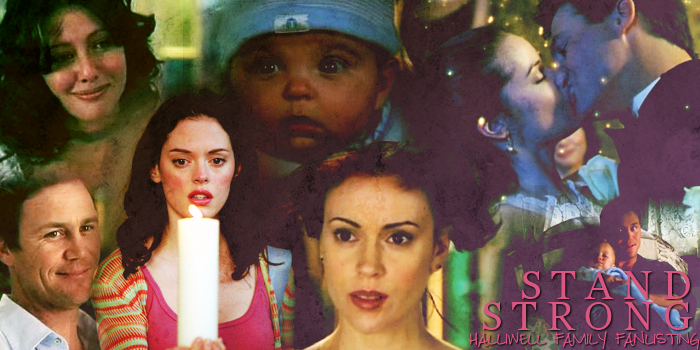 If you're a fan of the Halliwell's, please feel free to grab a code and join the listing! A huge thanks goes to Ingrid for letting me adopt this fanlisting. This fanlisting is powered by Enthusiast It was last updated: March 6th, 2019 and has 21 members from 10 countries. There are 0 pending members with the newest members Chrisie and a growth rate: 0.01 fans/day. Previously owned by Ingrid! and is now owned by Chrisie. We're listed at TFL.org. This site is in no way affiliated with Charmed or any other related parties.